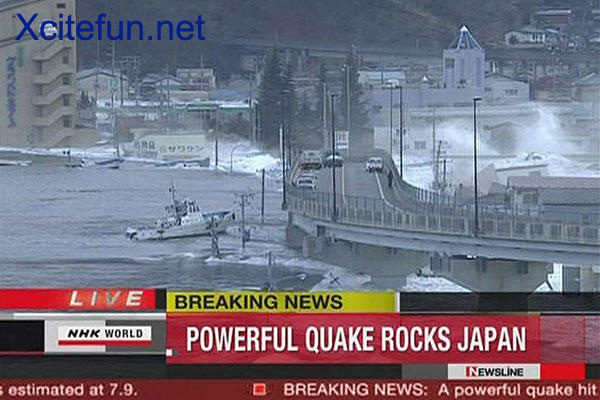 Japan tsunami: A massive 8.8 earthquake has struck northern Japan. Tsunami warnings have been issued for Japan and Russia, and a tsunami watch has been issued for Hawaii and other Pacific island nations in the region. Japan tsunami: A tsunami carries boats across waters in Kamaishi city port in this still image taken from video footage, Friday. An earthquake measuring 8.8 struck off the northeast coast of Japan on Friday, shaking buildings in the capital Tokyo, causing injuries, at least one fire and triggering a 30-ft tsunami warning.